Why Didn’t Dan Kois Quit Facebook? Earlier today, one of the most read articles on Slate was titled “The Facebook Cleanse.” It was authored by Dan Kois, a veteran writer who reviews books for Slate and contributes regularly to the New York Times Magazine. Kois instead detailed an elaborate and time consuming routine in which he carefully culled, over many days, his “friend” list down to something that felt less useless. Here’s the thing: I don’t find social media worthless, but I’m floored by its universality. It’s not surprising, in other words, that lots of people like Facebook, but it is surprising that there are so few people who don’t. Neil Postman warned about this in his insightful (but somewhat overlooked) 1992 book, Technopoly: The Surrender of Culture to Technology. The danger is not when a given technology tries to take over our culture, he warns, but instead when we stop debating the incursion and just assume it’s necessary. To me Cal it seems your point is belaboured by now and the conversation stagnant. I agree that Dan’s culling of Facebook friends seems ineffective and tiresome, but now what? Like anything really, FB can be used responsibly or not. Using it to keep up to date with family and old friends separated by distance or timezones can be done on more than just a superficial level I find, as has been argued before. I try to log in only when I have something meaningful to post! I’ve found there’s an important qualitative difference when you go from “endless stream of junk” to “highly-tailored collection”. I used to have a bunch of high-frequency sites on RSS and felt like I was wasting away my life on Google Reader looking for something interesting. Now I have a highly specific set of less frequent feeds, and I have a clear action item (read all the stuff) with a definitive end (no stuff left). The result is that I spent an hour or two each week reading great feeds (like yours!). I did something similar to Kois to do the same thing with Facebook–it took a grand total of 5-10 minutes of my life. I mostly agree with your sentiment towards facebook, but tirades like this are not why your readers come here. It’s for valuable advice on what habits and attitudes people can add to their lives to make them more productive. “Consider not using Facebook. It may not be as important as the time you waste on it” is valuable. Going on a multi-month crusade is not. I feel like you are being overly skeptical about facebook. I get my homework stuff from friends via facebook, I talk to them about school, I even did my communications about visa process via facebook. It’s neither good or bad. it’s just how you use it. Good reference to Technopolis – prescient and published 21 years ago! Another Technopoly fan! Part of what’s interesting about the book is that it was published *just* before the Internet became something widely used, so it’s able to provide insight into contemporary issues that seems fresh because they exists outside a lot of our more recent tropes. Kois is a writer, and the answer is provided, not in his article, but in practically the same article by Kevin Roose (also a writer). Not everyone writes solely for other academics, and most writers (and creative types in general) can use Facebook as a PR tool. Cal, I share your extreme skepticism of FB. I used to be on it between 2007 and 2010 and then decided that it was worthless. I suspended my account, went back for a month in 2014 and then got out again. My month in 2014 showed me that nothing had changed in terms of its usefulness and it had become much more worthless than before. If FB is replacing personal and inet-personal communication, I believe we are reversing our evolutionary tracks. I would not allow my daughter to use FB while in school (she starts Year 1 in June) and I’m hoping she will have the sense not to use it even she leaves school and enters college. What kids say they use FB for is very disturbing to me as a parent. I loved your point that there are few people who don’t like facebook. Excluding you, I know two regular internet users who don’t have it. So I am one of those that DO NOT HAVE Facebook account at all. I have never had one and do not plan to have. Of course I agree that it could be used reasonably and it could be useful in some cases. As for me, in spite of a fact that I live over 5000 miles from my family and friends with whom I communicate on daily basis, I have never felt that facebook would make it easier or that I am missing out on something. The opposite actually. There are now various other ways to communicate and keep in touch effectively, countless I would say. As for me the danger of facebook is that it is so popular, because on daily basis I am being asked if I do have facebook. Fortunately I can just say no instead of either: A) accepting as friends people I do not want to be friends with B) making explanations why I am not going to be in touch via facebook with them. I am also afraid facebook would only be a waste of time and additional unnecessary distraction, since I do not feel absolutely any need of having it even though apparently everybody else around me does. But well, I do not have a TV either, which does not prevent me from watching news and movies, but separates me effectively from all the unnecessary noise that comes with it. My read on this post (and the arc of Cal’s perspective) is that FB is the anthesis of deliberate practice. You can “curate” your friends, you can’t curate what they post. I use it sparingly like @Dan above, posting photos of my kids for far-flung relatives, etc. Still, the post-to-consume ratio is low, and the value of what I consume is lower. There is the occasional joy or tragedy that I learn about there that keeps me attached, but 10 years ago I never would have missed having that instantaneous awareness. I didn’t feel a great lack in my life back then. Life pre-FB was fine. I simply wasted my time in other ways. A lot of social media (FB, Twitter, LinkedIn) is rooted in the principle that there’s value in loose connections. There are some strong arguments in favor of this principle (Adam Grant’s book Give and Take, anything LinkedIn’s Reid Hoffmann writes). I haven’t applied deep practice to the cultivation of loose connections so these arguments may be valid in spite of my experience. I find that (1) it takes a lot of effort to build and maintain loose connections, and (2) I do a lot of low-value consuming in the process. If you’re a content creator/publisher–like Cal, Dave Kois, or Kevin Roose*–then you can build/influence a community around your focused ideas. Lesson: to build a great base of loose connections, be a creator not a curator of other people’s stuff. To be an effective creator, practice deliberate practice. There are other ways, but I don’t have a muse and inspiration rarely strikes. I don’t like deliberate practice at all, but it works better for me than the alternatives. Re: Cal’s “rant,” my interpretation of his larger concern (for which FB is a proxy), is that living a high performance life requires focus, vigilance, and deliberate practice so we actually DO what’s purposeful and get better at the things we most care about. Personally I need that reminder every so often. * Note regarding @Ben’s point about Kevin Roose: he talks about cleaning up his personal account but the linked article invites readers to “like” his FB *page*–a “push” platform very different from a personal account. I wonder how much time he himself spends publishing and engaging on that page. I beg to differ. Maybe it’s because I skipped the Facebook phase and I’ve only ever had a Tumblr, but I don’t know anyone who uses Facebook anymore except my parents, who very recently joined to keep in touch with filming acquaintances (my mom) and deal with my grandfather’s estate (my dad). Everyone on Tumblr seems to despise Facebook, and that’s quite a lot of people! On the other hand perhaps your point stands; while not a lot of people that I know have Facebooks anymore, they are all moving to Twitter, which might end up with the same over-cluttered-under-rewarding problem. Maybe social media based on “friending” and personalized ads by any other name is just as worthless. Hi Cal, I can’t agree more. I’m curious about your thought on attempts to meld “social media” with productive activities — I’m mostly thinking about Github here, but things like Yammer and Basecamp would apply too. Are these just more convenient ways to share the fruits of deep thought? Or are they more distraction than anything? 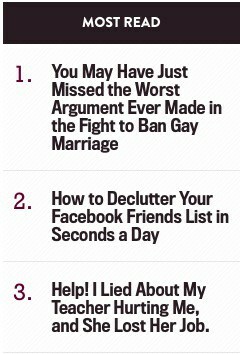 Is it really puzzling that a writer for Slate, or any major online publication, wouldn’t delete his Facebook account? That decision doesn’t happen in a vacuum. When your writing career is largely evaluated largely on pageviews and follower counts (yes, even for book reviewers if they’re primarily published online), you don’t relinquish that currency without seriously weighing the consequences. I believe there is a place and a need for these types of discussions and, unlike a previous commenter, I believe these discussions are in keeping with your focus here. I think Facebook is a lightening rod for quality versus quantity debates. As one of the first group of users (because of techno-savvy brothers), I used it for awhile. It had too much of some of the worst aspects of high school in it for my taste (trying to be “liked”, included, and popular and a sometimes unseen but clearly felt rip-tide-type pull to base one’s self-worth on those factors along with how your life compared to others’). I found that while my interactions with people went down significantly after leaving Facebook several years ago, the quality of my relationships went up. That mattered to me most, so it was a wise decision for me to leave. My siblings are all active on Facebook to various degrees that suit their needs and their personalities. My big concern with technology is who is in control of it. If you use technology in ways that help you and those around you, excellent. If technology becomes a dictator in your life, that’s a problem. Taking a break from computers, TV, and phone calls from time to time helps me to see where I’m falling along that spectrum. If I’m tipping to the technology running me side, I know I need to make some adjustments. When I do, I’m happier and better able to enjoy the multitude of blessings that living in this day and age brings. Sometimes the Facebook argument is also about good, better, and best. Facebook may be good or better for a lot of things. Is it best, though? I believe there is still a lot of room for innovation when it comes to how we communicate with and impact one another with and without technology. Being able to see and speak with family over Skype when we were on different continents was a HUGE blessing for my family. But I also believe that what’s usually best in how we interact with people is also what we’ve had access to the longest- actually sharing air and space and being fully present (both physically and mentally) with them. We use more of our senses that way; we also tend to share more of us. Great post Cal. I find FB to be riddled with petty “FB politics”… such as trimming down your friends list will invariably raise some “How could s/he delete me as a friend?? !” as if it was something meant to be personal. For many, it seems like FB is like celebrity gossip… certainly something we can do without, but curiosity gets the best of us to the point it becomes addicting. People are afraid to be “out of the loop.” I’ve since removed my FB account and realized that if people wanted to reach you, there are always other methods; it is just that FB tends to be the most ‘convenient’ (debatable) one. The number of people who complain about this professor’s attitude toward fb totally demonstrates his point. I think the reason that people stay on Facebook and other social media is the dopamine effect that they create. In “The Willpower Instinct,” there’s a chapter on “The Brain’s Big Lie: Why We Mistake Wanting for Happiness.” After reading this chapter, I decided to cut down on my Facebook use because I realized that it created dopamine but then didn’t lead to corresponding satisfaction. Most technology has a similar impact and it’s important that we recognize what truly leads to satisfaction and what doesn’t instead of being driven to distraction by the search for dopamine. What I wish were discussed more seriously is the use of Facebook as a way to quickly keep tabs on our far-flung friends. These are people that we indeed care about, but don’t have the time to have a phone call, or email exchange with on a regular basis. That was the magic of Facebook for me. Are there a million ways for Facebook to also be a simple-minded dopamine hit? yes. But, you know, welcome to the internet. What does “quickly keep tabs on our far-flung friends” actually mean? Do you look at the photos that they’ve uploaded, notice that trhey’ve “liked” something or commented on something? They may upload a photo of them having fun at a BBQ on the beach, but that isn’t going to tell you that they’re also really said because their granmother died of cancer, or that they didn’t get that job interview that they went for. Did you even know they were going for a job interview? The only way you’d know all these things is if the person in question chose to upload all this information. When I had a facebook account about 2 years ago I never uploaded anything. You’d have been better off talking to me on Skype or emailing me. Ben had a great comment, but I disagree that this is an overstated idea on your blog. It’s not just about Facebook. This is a great reminder to maintain focus on the important and productive elements of technology, socializing and living. Cut the fat off. As a student, I wasn’t always sold on your encouragement to consider doing more with less but I’m slowly coming around. Thanks, Cal! I hate FB. I hate having a tonne of friends and hate even more the idea of sharing everything in my life with people that I much prefer to never see. I had FB for 3 months in early 2013 to see how it went with me. I felt intruded upon. I felt I intruded upon others. I had a constant niggling ‘knowing’ that I was plugged into a massive technological mammoth, and that whatever I did, wherever I went, it would be known to that massive tech-mind, and the miniature minds called friends. But I think FB is here to stay unfortunately. It’s the new opiate. Cal, I love your website, and your writing has changed my life. But you are dead wrong about Facebook. Christopher (#17) is dead on. I agree with the basic sentiment of this post. I run some websites, but I don’t put Facebook sharing buttons on them as I don’t really want to promote FB and be a part of making it even more entrenched than it already is. I’m curious Cal, why do you include the Facebook buttons on your site, if you feel that Facebook really isn’t good for you, or for others such as Dan Kois? Seems like you are promoting them by doing this. Or, maybe I’m I missing something? Cal, I’m a college student and completely agree with you about Facebook. In fact, one of my favorite mantras for not using Facebook is, Cal Newport doesn’t need to use it, why should I? Last semester, I rejoined Facebook to test out its features once more, and to compare life efficiency with and without the social media site. Turns out, all Facebook was good for was to help me sell 2 used items on our school’s ‘for-sale’ exchange group. Facebook did not help me with housing or job searches, despite the plethora of ‘alumni network Facebook groups’ the site offers through my school. Add another person to the seemingly small list of ‘non-Facebook user’.